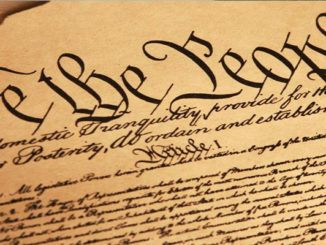 According to the Gallup Survey; Along with the District of Columbia, Rhode Island and Hawaii rank as the most Democratic states in the country, followed by New York, Maryland, and Massachusetts. 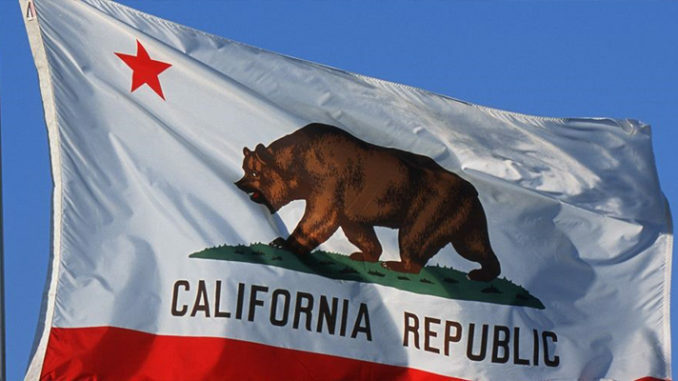 Rounding out the top 10 Democratic states are Delaware, Connecticut, Vermont, and California. And Utah, Utah, Idaho, and Wyoming are the most Republican states. Gallup measured “leaning Republican” state where GOP favorability is 60% or higher. With the exception of South Carolina, The GOP has not future prospect Republican favorability in states in the Easter Shore. Therefore, the Republican Party, if this trend continues, is indeed becoming a regional Party supported only by rural states and religiosity in the South— the GOP leads in favorability in the 19-most religious states. According to Ronald Brownstein from the National Journal, and based on another Gallup Report, Republicans are strongly favored in all of the 19 states that Gallup ranked as the most religious. In this GOP-religion-region eight of the 10 most religious states in 2011 are in the South with one straddling the line between the South and the Midwest (Oklahoma), and one in the West (Utah). Thus, region and religion are important factors of the strength of the GOP in the South and western states. But western states will also be dominated by Latinos in the next generations since it only require a 60% of the population to embrace a conservative or liberal identity. Therefore, in the West and the South religion and historical experiences have a lot to do with the political social values formation for group, and Latinos in the southwest are not the exception because their values are deeply rooted in cultural attachment to the region and Catholic traditional social conservative values –75% of Latinos are Catholic. So the good news for Republicans is at least 19 states in the nation where religion is very important for people, the GOP lead in favorability, especially in the South, and the growth of Latinos population in the Southwest gives opportunity for the GOP to make their argument before Latino communities. More importantly, this new trend also shows that the GOP and Catholics are now building a lasting bond—in which Latinos will have a great impact in the future of the Republican Party—based on social issues. In addition, since 2004, “whites” became the minority in Texas, and more “minority” births happened in the state. Texas wills double its population from 25 million to 50 million in the next 20 years. The 2010 U.S. census estimated that 85% of population growth since 2000 was minority, which happened to be mainly Latino. But in Texas, minority births in the state last year hit 68.5%. 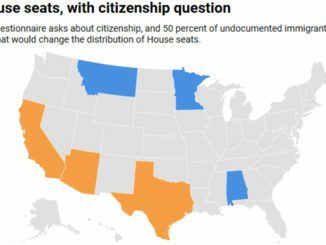 Consequently, at this rate, from Texas to California and Colorado, within a generation Latinos will be able to create a new regional ethnic bloc that can be converted into realignment similar to that in South in the 1960-79s when the South moved from Democrat to Republican. Bur Republicans need to really work in wooing Latinos because it would only take that Latinos, all eligible to vote, come out and vote in large numbers to change the politics in conservative states like Texas and Arizona and Colorado– New Mexico is already leaning Democrat for the presidential election. Thus the same way that Latinos are idle when in come to vote, the GOP is also need to stop embracing the mañana attitude when it come to reaching out to Latinos; the GOP and Latinos need to start working together on policies–education, health care, jobs, immigration–important for both. We can pretend that mere low taxes talk is enough, but we know is not true because for Southerners and Latinos in the Southwest Culture and are religion important. 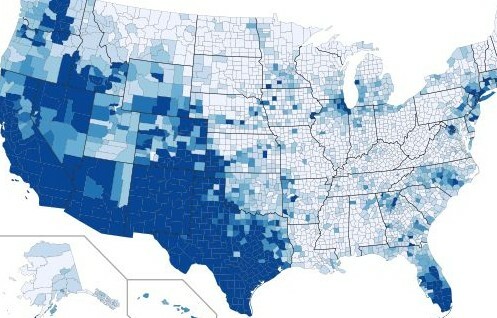 Latino Catholic Population in the Southwest. Too, Republicans like to pretend that mere speeches about the old cliché of “Latinos are naturally conservative” and low taxes–is enough for Latinos to eventually come to the GOP; as a result, the GOP keeps waiting for the young Millennia generation of Latinos become “middle-class” so the low taxes mantra can be appealing to them. But this” middle-income” expectation by itself is a false expectation. The theory is that once Latinos, by the second Generation, become middle-income, they will see the benefits of conservative low taxes and “limited government” doctrine. But as the Gallup maps show, most “middle-income” coastal states are departing from the GOP. Thus, “middle-income” cannot be an indicator for GOP support; the reality is the middle-income alone is not solid indicator of how “middle-class” families in the west coast and east coast states are adopting Democratic mantra. So the income argument alone is not sufficient for Latinos to turn to the GOP. And then, there is the argument of poverty among Latinos that keeps preventing the GOP from open reaching out to Latinos. Many GOPers—politicians and Republican operatives–argue that the chief reason why Latinos in the Southwest vote Democrat is because they are poor and they want “handouts”. But this argument would be empirically true if poor voter in the 10-most southern states voted Democrats as well. But the majority of those poor voters in southern state vote consistently Republicans, even if they receive welfare assistance; in fact, there are more poor whites on welfare in the south voting Republicans—who don’t care about taxes—than there are Latinos in the southwest voting Democrats. in other words, there is no difference between a conservative poor white in the South receiving welfare who votes Republican and is called an “American Patriot” and young Latino in California or Texas applying for financial aid for school and is called “socialist”. Consequently, if Republicans want to prevent the Southwest from becoming democrat like the east coast, they need to stop stigmatizing young Latinos. The Republican tide in moving west, and consequently, is poised to win in some states due to the increase of Catholicization within the GOP in western religious states. However, this increase can only be harvested fully if the GOP makes the Party mantra appealing to Latinos voters because Latinos will be the principle” ethnic” force driving the growth of Catholic Church in the southwest. The fact the Republican is losing ground in the Easter coast and the Midwest makes it obligatory for the Republican Party to plant its seed in Hispanic community. But the real approach has to be about family, culture and God, not only about empty speeches about taxes and folksy “limited Government” signs.